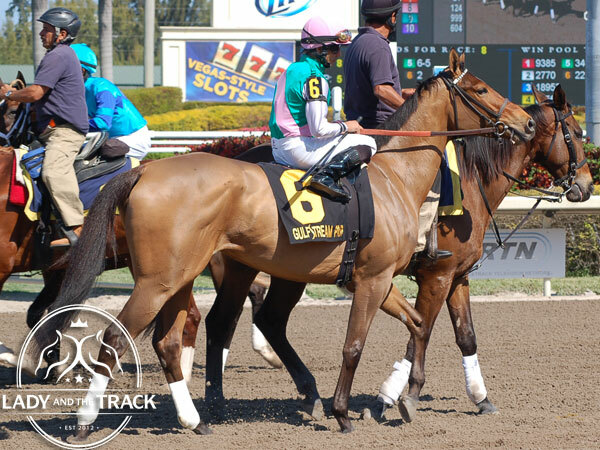 Emollient will break from post position #7 with Mike Smith in the Black-Eyed Susan Stakes on Friday May 17, 2013. 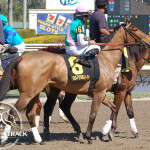 The 89th running of the Black-Eyed Susan Stakes takes place Friday May 17, 2013 at Pimlico Race Course in Baltimore, Maryland. 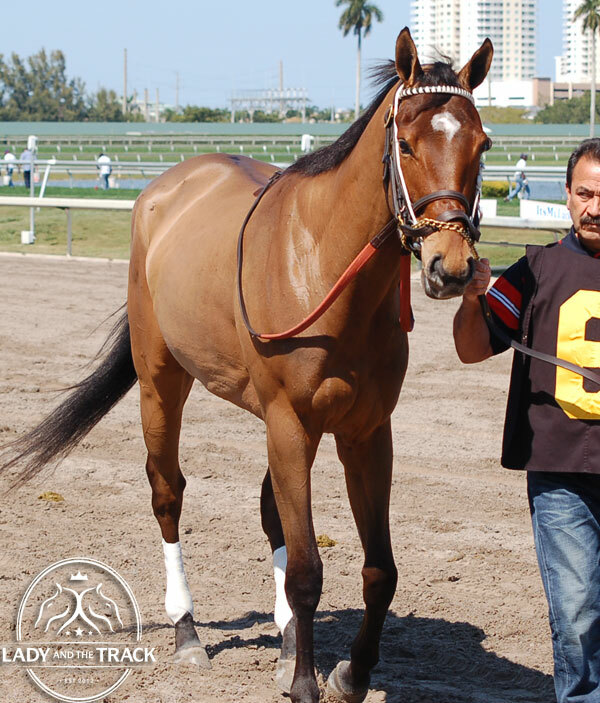 The $500,000 1 1/8 mile dirt race is for three-year-old fillies. 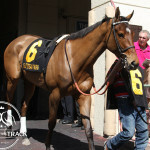 Morning line favorite Emollient, with 9/5 odds, will break from post position #7 with jockey Mike Smith. 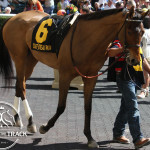 Emollient is my #1 pick for the 2013 Black-Eyed Susan Stakes. 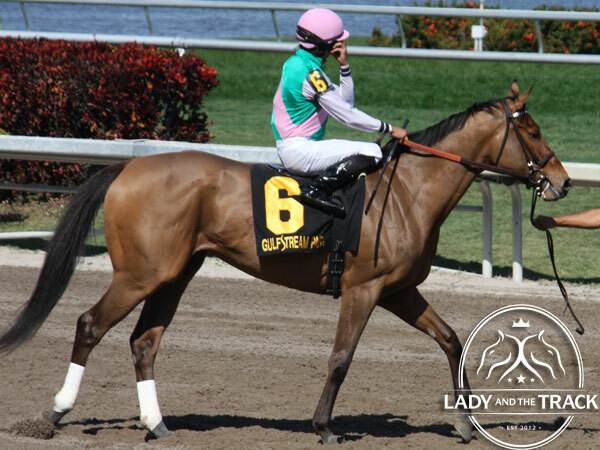 After watching her romp around Gulfstream Park earlier this year, I feel the Juddmonte Farms filly has what it takes to beat the nine-horse field on Friday. 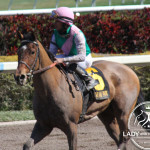 In her most recent race, Emollient won the Central Bank Ashland Stakes. 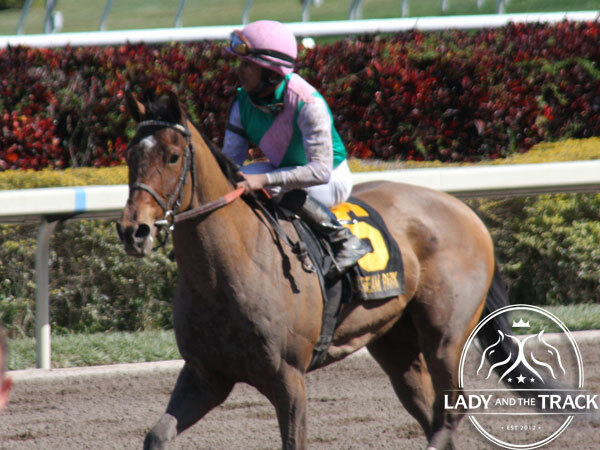 She placed fifth in the Gulfstream Oaks but we’ll blame that loss on the powerhouse diva, Dreaming of Julia. 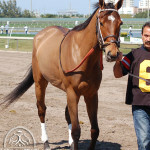 I also like Manuka Honey, with 10/1 odds, in the Black-Eyed Susan Stakes. If the track stays dry, this filly has a real shot at surprising the experts. 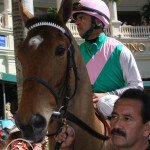 The Black-Eyed Susan Stakes is unofficially considered the second jewel of the Triple Crown for Fillies after the Kentucky Oaks. The Black-Eyed Susan Stakes was formally known as the Pimlico Oaks but was changed in 1952 to celebrate the Maryland State flower, the Black-Eyed Susan. 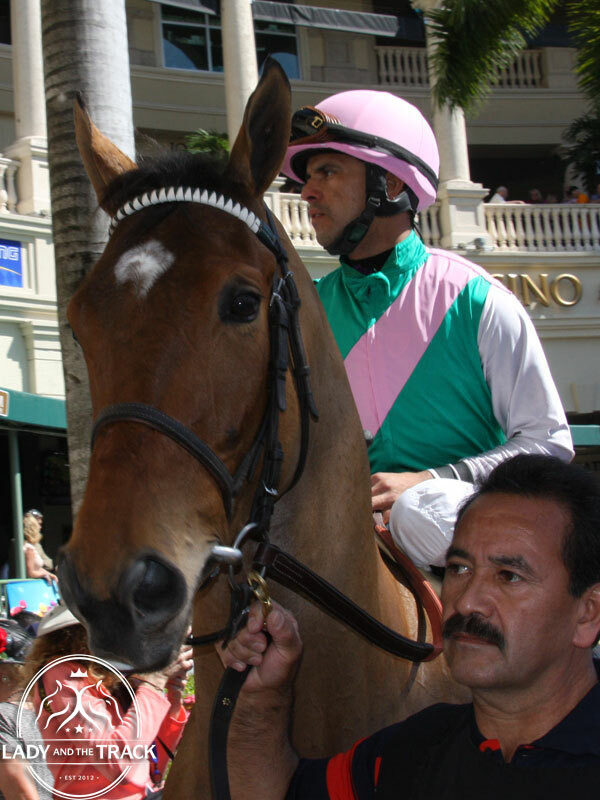 Todd Pletcher’s In Lingerie won the 2012 Black-Eyed Susan Stakes with John Velazquez on the mount. 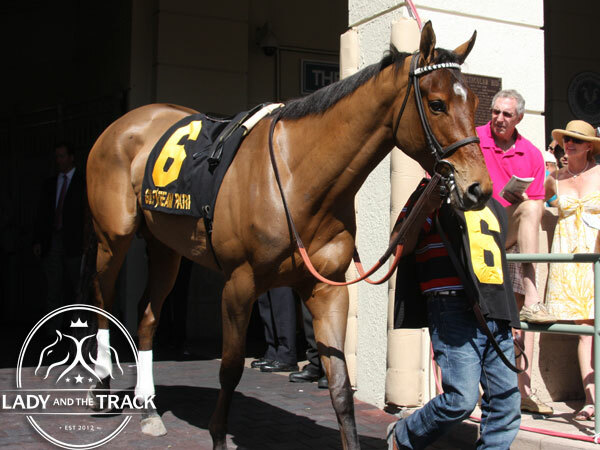 The 2013 Black-Eyed Susan Stakes is the 10th race of the day with an approximate post time set for 4:47 PM EDT. 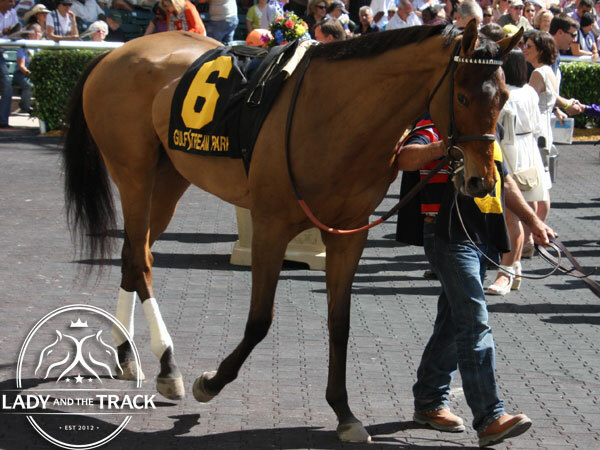 Lady and The Track would like to wish all of the 2013 Black-Eyed Susan contenders the best of luck. Good Luck! 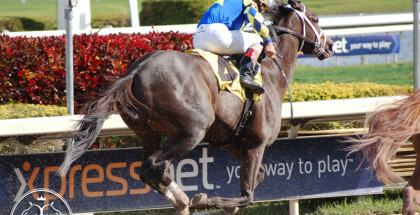 Safe Run! 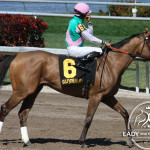 Photos of our favorite pretty filly Emollient.